What does the future hold for my company? What goals do we set, and how do we go about achieving those objectives? If you’re a business owner asking yourself these questions, or you're looking for some fresh ideas in the modern business landscape, the next ten minutes of reading is our gift to you. Adopt some (or all!) of these strategies and you’ll see results. Whether your goals are to increase website visitors, gain customers, raise revenue or generate leads. The first element of any forward-thinking strategy is online content. Blogging and content creation is the most successful way to attract and convert customers as more consumers head onto the web to make buying decisions. In fact, according to HubSpot, B2B companies that blog 11+ times per month have almost 3X more traffic than those blogging 0-1 times per month. These blogs are SEO-focused and optimised - intended to rank well on search engines, increase traffic and address their audience’s most significant challenges. They're engaging and informative and complemented by premium content such as ebooks and product catalogues, which convert that traffic into leads for the business to nurture into customers. Although nearly 90 per cent of marketers now use B2B content marketing as a core component of their online marketing strategy, only 37 per cent of them have a documented content strategy, according to Content Marketing Institute statistics. According to those same stats, lack of strategy and investment is the primary reasons why online content fails to achieve the desired result. To create a strategy that is successful, it's important to measure the ROI of all content marketing activities you carry out. Track your success against set goals and measure how effective each piece of content has been against those criteria. This will give you valuable insights into what works for your business and what doesn’t, which will help you improve performance! If you need convining a content strategy is right for you, use our inbound marketing resource to see the method behind the madness! While online personalisation is an established marketing activity among B2C websites, B2B businesses have been slow to adopt it. That’s quite surprising because customer segmentation is a useful strategy across all industries- large corporation or SME. Individualising your customer’s experience is simpler than it ever has been, especially with marketing automation software like HubSpot now available to business owners. Greater personalisation is achieved by creating strong buyer personas. A buyer persona is a detailed description of your target customer or client. This is usually a fleshed out profile, including (but not limited to) what their goals and challenges are, demographic information, where they live and what their general interests are. This is all written as if your ideal customer were a person. Having a mapped out profile of the target audience helps you gain a better understanding of your customer’s needs and the problems they're facing. This allows you to cater your marketing activities to them in a way they’ll find valuable and useful. For example, if you know ‘Sample Susan’ has problems with recruitment, the perfect marketing content to get their attention is something that addresses solutions to recruitment issues. Simple. Of course, creating a comprehensive and effective buyer persona can be more complicated with niche audiences. Taking more time to develop highly targeted personas for each of your B2B marketing tactics will help to deliver better quality leads, as the prospects you want to reach are more likely to react to the content that interests them if it's found in the channels they already visit. Aligning sales and marketing teams is a problem that has plagued businesses as long as the standard corporate structure has existed. For most B2B companies, marketing’s job is to generate leads, and sales’ job is to turn those leads into clients. Times are changing. In the modern business world, marketing and sales need to work in tandem, aligning their roles and goals to ensure that ROI becomes the responsibility of the whole organisation, not just individual teams. The first step to get sales and marketing to collaborate is encouraging constant and open communication. Encourage the sales team to give feedback on lead quality each month. This process will help marketers better understand which types of leads are most likely to close so they can generate better quality prospects. Once you get the communication process going between the two teams, keep it moving in the right direction. In addition to working collaboratively, the teams should be encouraged to discuss any misalignment or frustrations constructively so that solutions can be worked out effectively. Only 25% of salespeople said marketing was their best source of leads in 2017 (HubSpot), there is still some work to be done to modernise the links between sales and marketing in business. Even with new marketing technologies and tactics available to B2B companies, email marketing is still one of the most effective ways to generate leads. With CTRs being 47% higher for B2B email campaigns than B2C email campaigns, it’s clear decision makers in businesses are generally more receptive to email than their B2C counterparts. Email has become a way to push prospective customers further down the funnel by nurturing their engagement with your brand. Using that all-important data from your buyer personas (see above!) to determine what their problems are, you can take a cold lead from the awareness stage (first interactions with your site) into the consideration stage, to getting on the phone with your sales team in the decision stage. Lead nurturing has been made even easier with marketing automation software such as Hubspot. This software is designed to help you prioritise and execute your B2B digital marketing in a more streamlined and efficient way, freeing up your time, while not compromising the quality of the content you're producing. Instead of doing what most marketers do; which is sending out blast after blast of email to an entire list of prospects and existing customers in the hope of it resonating, marketing automation allows you to nurture your leads through the entire buying process, delivering highly-targeted, personalised messages that address their issues directly to drive engagement and push leads through the buyer's journey. The B2B company sends an email invitation to download their latest ebook to a targeted list of prospects. The B2B company sends a thank you note to all the people that downloaded the ebook. A few days later, they send a follow-up email to the list of people who downloaded the ebook, offering them a case study relating to the topic. When someone downloads that case study, the sales team will get a notification so they can follow up with them (this person has demonstrated they're interested and is likely much further down the buying process). The more personalised approach to email marketing above resonates much better with prospects than copied messages that have been sent to thousands of other people. The interaction feels tailored to each lead and how they're interacting with the brand, which builds trust and therefore makes that prospect more likely to convert. 53% of marketers say blog content creation is their top inbound marketing priority. So why do only 30 per cent of marketers say their content marketing program is effective? It usually comes down to a lack of long-term planning. A critical part of a comprehensive B2B marketing strategy is developing a content calendar. In its purest form, a content calendar is a schedule of what you’ll send and when you’ll send it. It can cover multiple platforms, so you could use one to plan your social media marketing, email marketing, or incorporate them both. Your content calendar is a detailed structure for the ongoing story you want to tell about your company to your prospects and customers. When you have a complete view of your social media or email marketing output, you can turn ideas and broad strategies into an actionable plan that you can then improve as you learn more about what works best. Every marketer has experienced that sinking feeling of a deadline approaching with no content available to fill the gap. With a documented content calendar, departments throughout your company can view upcoming content and plug the gaps accordingly. 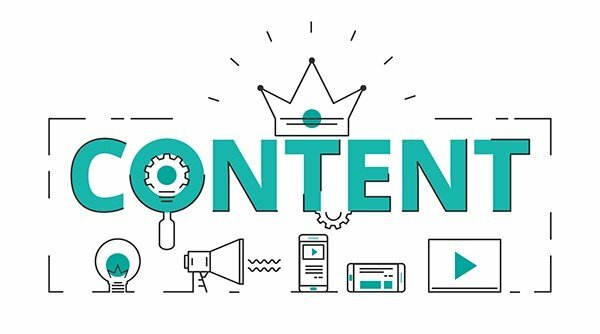 Creating a content calendar ensures that your message stays in front of your prospects, whether you’re trying to reach them with a branding message or whether those prospects are further along in the funnel and you want to drive them to take a specific action, such as responding to a CTA or filling out a ‘contact us’ form. Building a content calendar and planning your content marketing enables you to more easily create benchmarks to measure your marketing effectiveness, compare performance over time, and optimise your program to achieve specific goals and objectives. Look for this more holistic approach to campaign planning to become more common, as marketers start to see measurable ROI from long-term, flexible project proposals. Imagine this: a person visits your website. What do you want them to see? What user experience would you like them to go through? Which areas of the site would you like to send them to from the homepage? These are just a few of the topics covered by the practice of CRO (Conversion Rate Optimisation). CRO is the method of using analytics and user feedback to improve the performance of your website. Once you have data on the above metrics, such as where people go on your website, you can then determine where the drop-offs are (at what stage do users leave your site) and what to do to prolong that engagement further or maximise their chance of converting into a lead before that point. Sometimes, that might involve making your CTA (Call to Action) more apparent or placing it on a traffic-heavy (but poorly optimised) page. At other times this means removing or relocating unnecessarily complex or time-consuming steps from your navigation, as the added complication can prevent a conversion from happening. As intelligent SEO becomes more and more commonplace in the industry, keeping visitors on your website and converting them once they have reached your homepage is just as crucial as getting them there in the first place. Not only that, as B2B marketing tactics evolve to be more content focused, blogging and content creation can be used to keep leads coming back to your website, pushing them down the funnel. The practice of CRO in the modern age is used to minimise the number of touches this push towards the decision stage takes to complete. B2B social media marketing is crucial to the overall marketing strategy of a business. According to Social Media Examiner stats for 2017, 92% of marketers said that Social Media is important to their businesses. However, only 38% of those people said they're able to measure the ROI of those activities. This is where forward-thinking B2B companies will plough ahead - and doing so will allow them to create highly targeted and optimised paid social campaigns to generate qualified leads that the rest of the industry isn’t aware of, or don’t know how to get access to. Identify clear and achievable Social Media KPI’s. What are you looking to achieve with the campaign? Do you want to drive revenue, or build brand awareness? This will determine what exactly what success looks like for your social media marketing. Setup analytics to track success against specific criteria. Your ability to retain and convert your leads depends on how informed you are about their behaviour on your website. Nearly every single goal is measurable and if you take the right approach. Google Analytics is a free tool that you can use to set up trackable goals and monitor how often visitors complete the actions you want them to. Benchmark against your competitors. Compare your social media efforts to your competitors, and you can uncover areas of opportunity for your organisation to stand out and be different from them. Learn what platforms are most successful in reaching your target persona for the campaign and personalise your activities to grab their attention and solve their problems. HubSpot are good at what they do, that's why they have one of the most well-known marketing platforms out there. Of course, we're a HubSpot Certified Partner Agency, so we planted our flag long ago! If you want to check out the alternatives, however, there are quite a few that offer the same core functionality a business needs to successfully generate leads and automate their marketing over the long-term. Some of the main alternatives are Pardot, InfusionSoft and Act-On. Whichever software you choose, they all perform important tasks that will help boost your marketing efforts. The more intelligence your sales and marketing teams have about your prospects’ pain points, the more successful your campaigns will be.